There's a special place in my heart for Doxies and that's why I've always had a nice selection in my Dachshund dog breed jewelry. 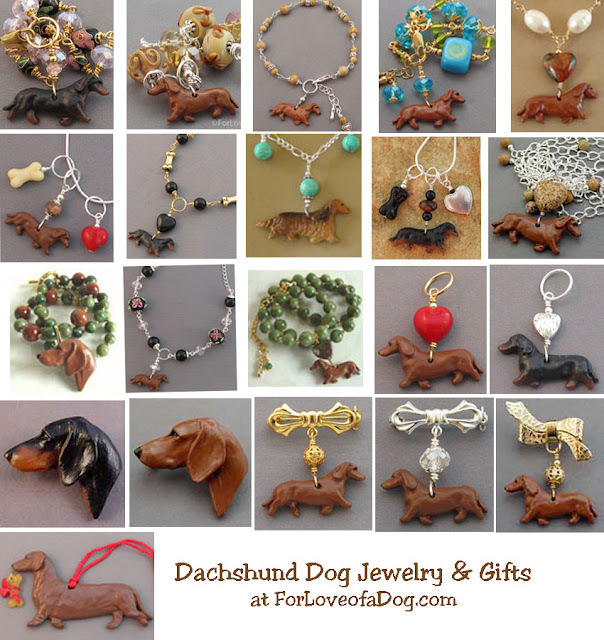 And even though I've sold out of some dog breeds, you'll find some lovely Dachshund dog jewelry still available. Right now you can choose from red, black and tan, and even long haired Doxies in 4 bracelets, 9 necklaces, 2 pendants, 5 pins and even one red Dachshund dog Christmas ornament. 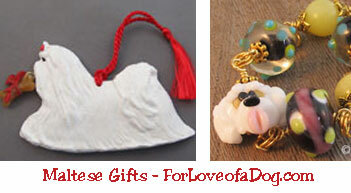 Shown above is what is still available in my Maltese dog gift collection. Yes, that's right. Almost all sold out. There is only 1 Maltese dog bracelet and 1 Maltese dog Christmas ornament and when they're gone, there will be no more. Who doesn't adore a Pug?! 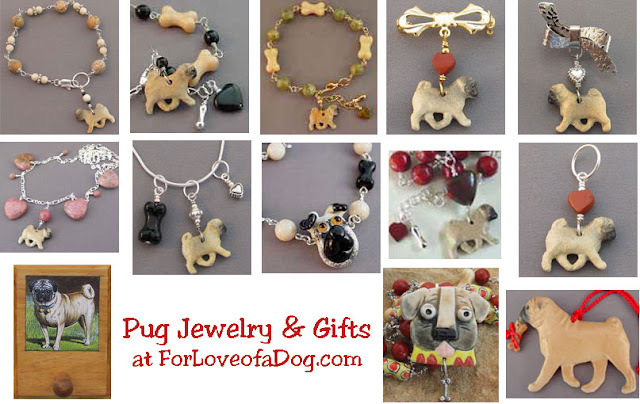 Shown above is my Pug dog jewelry collection. As I write this you can choose from 3 bracelets, 2 pins, 1 pendant, 5 necklaces and even 1 Pug dog leash holder and a Pug dog Christmas ornament. Make your Christmas gifts extra special for your favorite dog lovers! Shop For Love of a Dog for unique, one of a kind, handmade holiday gifts! Every thing is on sale, plus you'll get free standard shipping to US addresses. Hurry! Shop For Love of a Dog now for best selection!